BAE Systems has announced at the Farnborough Airshow 2012 that it will be conducting a series of world first test flights of their ASTRAEA-developed intelligent UAS software using a conventional aircraft. ASTRAEA is a consortium of companies working together to create an intelligent autopilot that, by using a series of cameras located around the plane, will not only be able to perform emergency landings but accurately avoid cloud movements. With its Sense & Avoid technology the aircraft can locate, identify and then safely fly around other aircraft all without the need for a pilot. The ASTRAEA program is a huge leap forward in automated aviation that BAE hopes will be deployed with search and rescue aircraft, freight aircraft and be used to upgrade current autopilots. 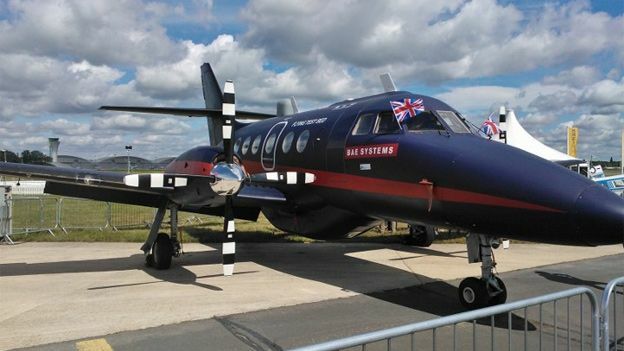 Instead of building an entirely new plane from the ground up BAE has effectively modified a conventional Jetstream 31 plane and refitted it with all the technologies that have so far been developed through ASTRAEA. While the technology has certainly been proven to be in some cases more accurate than human pilots Hepenstal was keen to stress that this would not be a replacement for human pilots in civil aviation.